GOAL: To provide an educational and objective way to assess ECG Competency in Primary Care. Welcome to moreecg.com — where I'll be posting information relevant to ECG Competency. This is an on-line, password protected program for objective assessment of ECG competency in primary care. It has already been adopted by ~30 Family Medicine Residencies nationally for dual purposes of education and documentation. 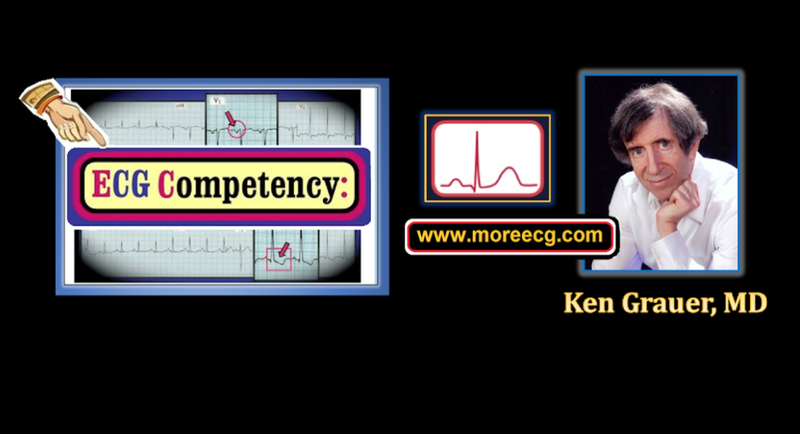 Instructional Video for using ECG Competency (10 minutes). This should answer any questions you might have about ECG Competency (for RESIDENTS to watch!). Video for ECG Comp. ADMINS (8 minutes) — How to easily Access Exam Scores of Your Users. 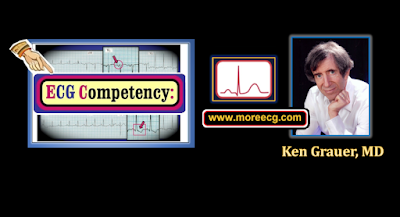 CLICK HERE — for a Linked-Time CONTENTS to ECG Competency Videos! LINK to LOG-ON to ECG Competency! About the Developer (Mini-CV for Ken Grauer, MD). 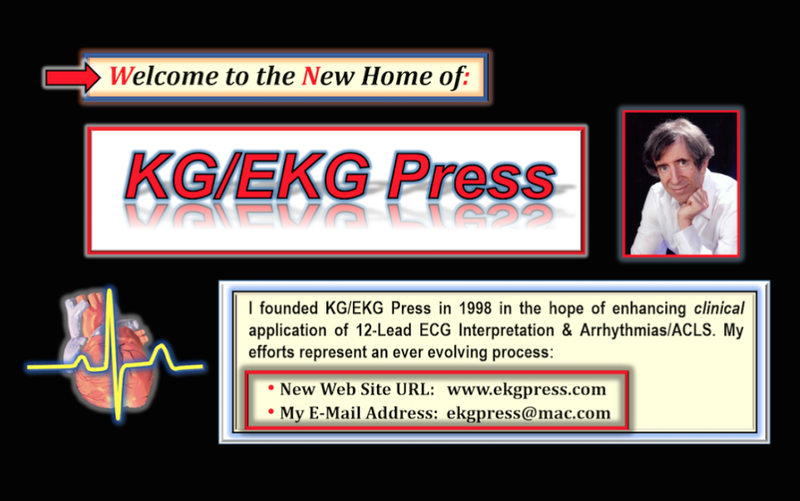 Access to free downloads of my ECG Videos (www.videoecg.com). 10-pg ECG pdf Review (http://tinyurl.com/KG-ECG-10-Pages). 17 minute Video Review of Bundle Branch Blocks (www.bbbecg.com). 42 minute Video Review of Axis/Hemiblocks (www.axisecg.com). 29 minute Video Review of Brugada Syndrome (www.brugadaecg.com). 65 minute Video Review of QRST Changes (www.QRSTecg.com). 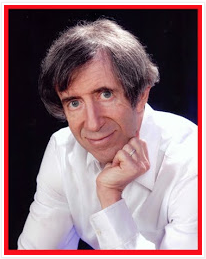 My Cardiac Arrhythmia web page (www.aafpecg.com) — which has links to ~5 hours of my ECG Videos on Arrhythmia Diagnosis/Management and AV Block assessment (as well as links to numerous pdf summaries on arrhythmias). My Basic ECG Concepts Series on my ECG Blog. INDEX to all that I cover on my ECG Blog. Today,I found myself unable to resume my training in your " practice tests".